As the growing season is underway I thought I would give you an update on growing strawberries in sawdust. 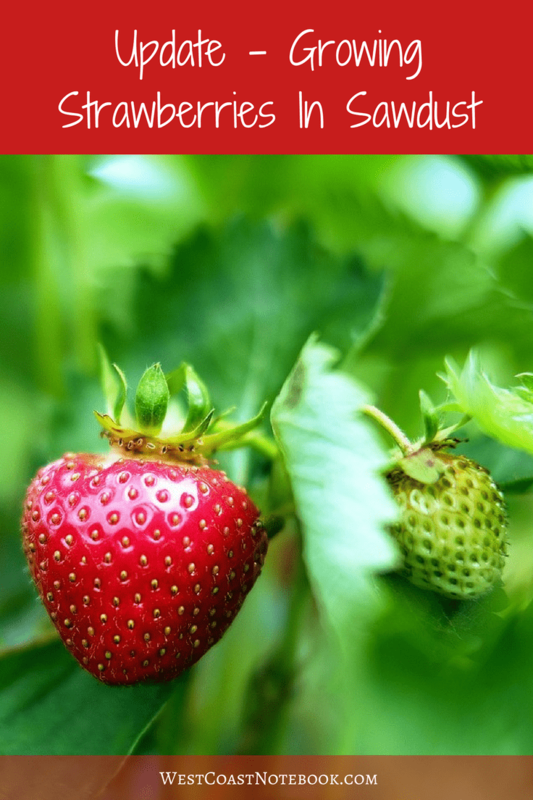 If you missed the post that I did on mulching my strawberries with sawdust you can read it here. It’s all about an experiment that I did this year to see if sawdust really worked as a mulch and how the strawberries would turn out. Let me just say it was one of my more successful experiments. 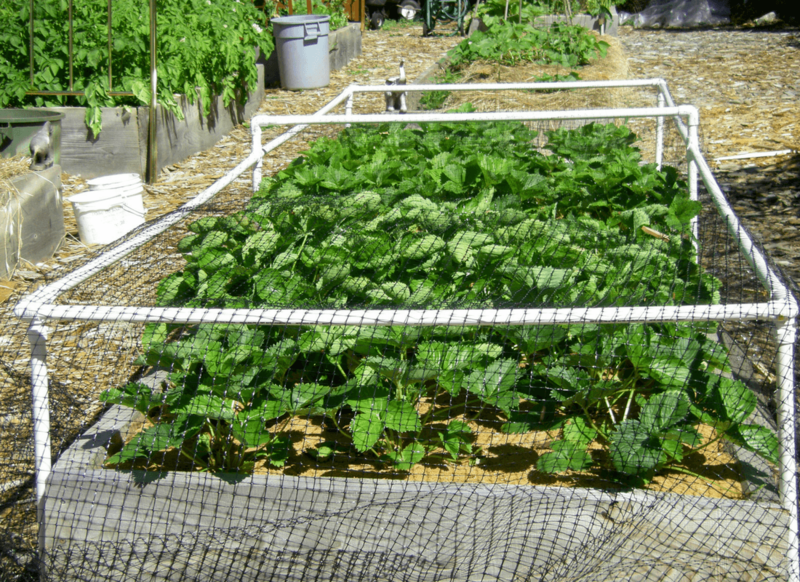 First, the strawberries are taking very little in the way of watering, as the paper and sawdust are holding in most of the moisture in the raised bed. The second thing that I noticed is that when the strawberries get runners on them as there is no dirt there is no place for them to take hold. They are also really easy to find the source and cut them off. I find that at each picking I just nip off the new runners so that all the nutrients are going into the strawberries rather than the runners. Clean… did I mention clean! 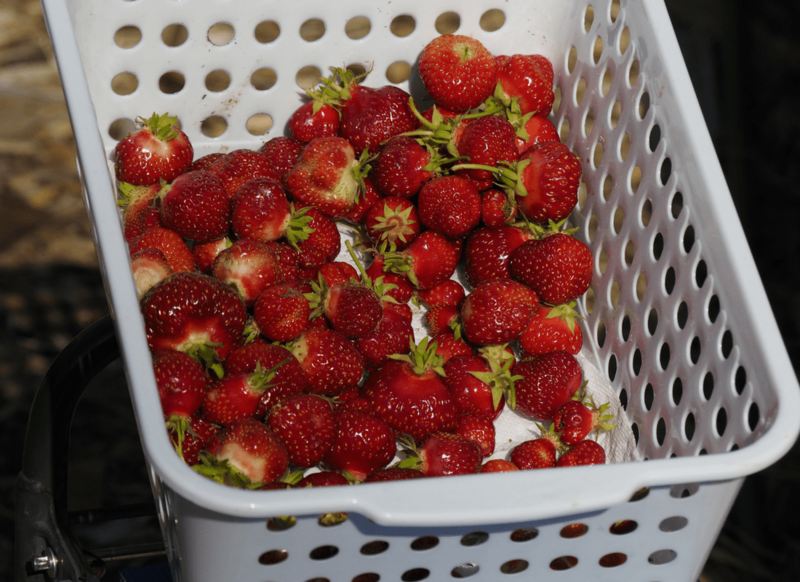 When I pick the strawberries they need no washing and can be eaten right out of the garden. No dirt! You might have to blow on them to get a trace of sawdust off but that’s it. Clean as a whistle. I am growing 2 varieties in the bed. One is an everbearing plant and the other is a June bearing variety. Interesting enough is that the June bearing ones are later than the everbearing but have fewer runners on them. They are also the biggest plants and have the largest berries. The berries on the everbearing plant are full of runners and I find the berries tend to be a little smaller and sometimes deformed. But… for first-year strawberry plants, they are doing quite well. I got the first good picking off them yesterday. I’m picking every other day at the moment. It doesn’t look like much but there are about 3 lbs of berries in the container and we had enough for dinner and to make 5 and a bit 1/2 pint jars of freezer jam. Yum! 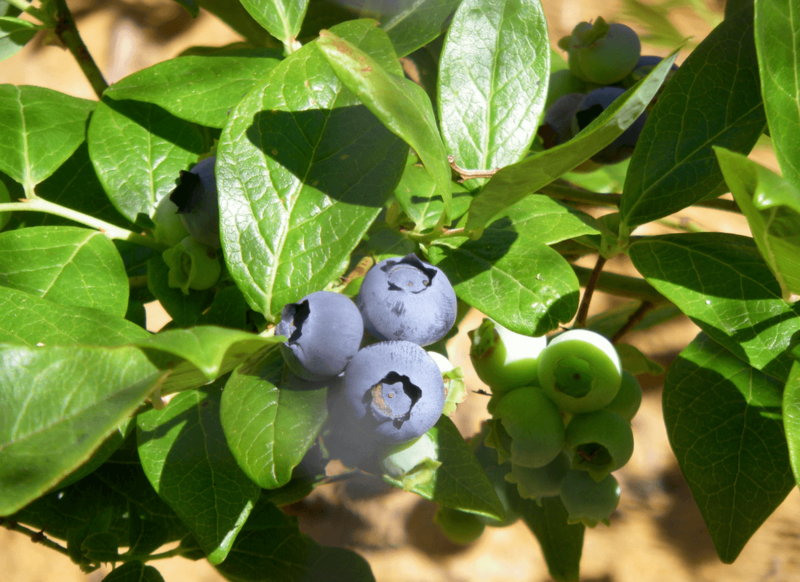 The blueberries have just started at well, so I berry get picking.